Courtney Madison has battled poverty her entire twenty-five years but is determined to make a safe and happy home for her teenaged brother after the recent death of their mom. Her mom’s illness left Courtney with a mountain of hospital bills, her formerly sweet brother Jimmy is now cutting class and hanging with a rough crowd, and she’s just learned she’s being downsized in two weeks. Hanging on by the threads of a fraying rope, she learns she’s inherited two million dollars from a kind elderly man she befriended when he was in the hospital across the hall from her mom. 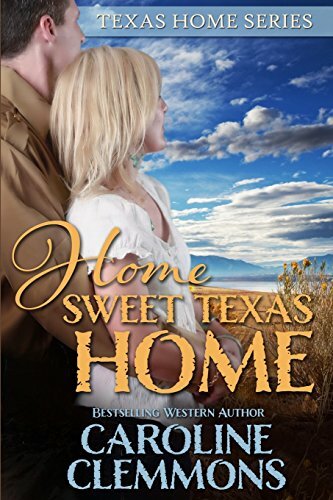 She thinks her inheritance in West Texas is the answer to all her prayers--but Courtney learns that while money improves her life, it doesn’t guarantee happiness. This modern Cinderella encounters problems even a fairy godmother couldn’t imagine. Rancher/entrepeneur Derek Corrigan has incredible instincts for flourishing in the business world. With women, not so much. In fact, his friends bemoan he’s King Midas where money is concerned, but his judgment of women is pathetic--evidenced by his late wife and now the flamboyant woman he’s been escorting of late. As far as Derek is concerned, all he wants is to be a good dad to his children Warren, aged 8, and Meg, aged 5. Derek suspects the worst of his new neighbor and vows to fight his attraction for her. The only way he can protect his children and himself is to keep his private life very private. Besides, he knows what women do to him--they always leave and take chunks of his heart with them. He's been there, done that, had the vaccination and is cured. Isn't he? Caroline Clemmons is an Amazon bestselling author of historical and contemporary western romances whose books have garnered numerous awards. Her most recent novel, THE MOST UNSUITABLE COURTSHIP, is a poignant tale of tender redemption. A frequent speaker at conferences and seminars, she has taught workshops on characterization, point of view, and layering a novel. Caroline is a member of Romance Writers of America, Dallas Area Romance Authors, Yellow Rose Romance Writers, and several online chapters. Among her latest publications are the acclaimed historical Men of Stone Mountain series: BRAZOS BRIDE, HIGH STAKES BRIDE, and BLUEBONNET BRIDE. Caroline and her husband live in Texas cowboy country with their menagerie of rescued pets. When she’s not indulging her passion for writing, Caroline enjoys reading, travel, antiquing, genealogy, painting, and getting together with friends. Find her on her blog, website, Facebook, Twitter, Goodreads, and Pinterest.